The staff at Counseling and Psychological Services is committed to creating an affirming environment for the university’s LGBTQIA+ students. Not only do we follow the ethical guidelines of our professional associations, but we work hard to ensure you feel supported, encouraged and respected when you visit us, no matter what concerns you bring when seeking help. 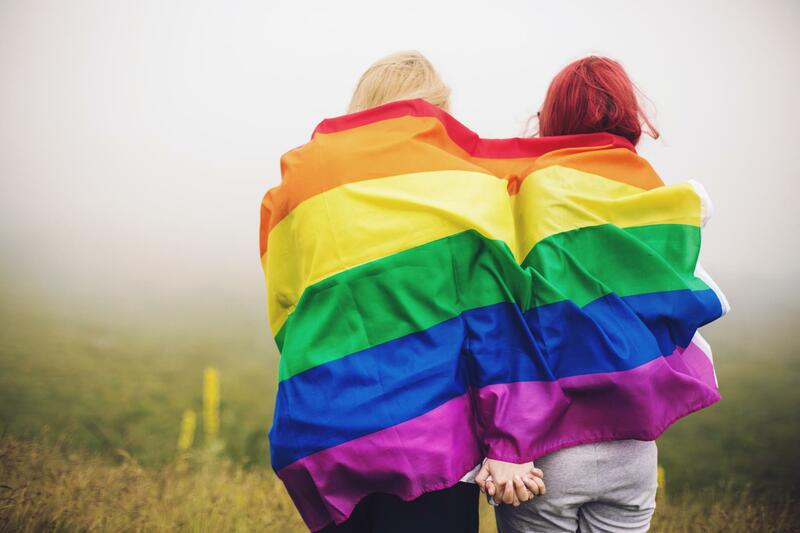 LGBTQIA+ students come to Counseling and Psychological Services for many of the same issues that other students deal with including academic stressors, anxiety, depression, roommate issues, etc. To make an appointment with Counseling and Psychological Services, call 402.472.7450. If you are interested in meeting with a staff member who identifies as part of or actively supports the LGBTQIA+ community, please let our staff know when you schedule your appointment. Open to all University of Nebraska-Lincoln students, the office is located in the Nebraska Union, room 234. The office is staffed by student volunteers; it provides a safe, informal gathering space and offers information about services, events and current LGBTQIA+ periodicals. Meetings are held during the academic year: Thursday at 6:00 p.m. in the Nebraska Union, room posted. Leadership Team meetings are open to everyone and take place Tuesdays at 3:30 p.m. in the Queer Ally Coalition office (234 Nebraska Union). Consisting of GLBTA students, faculty and staff striving to create a campus environment supportive of GLBT people. The committee supports the university’s non-discrimination policy and works to make it a reality; they meet bi-weekly throughout the academic year. For more information contact Pat Tetreault, ptetreault1@unl.edu or 402.472.1752. University Health Center, 550 N. 19th St.
Services include initiation and monitoring of masculinizing and feminizing hormonal treatment and referrals to institutions that offer gender affirming surgery and post-operative management when needed. Referral is not required. Fourth Wednesday of each month, 1:45 to 4 p.m.; by appointment only. General meetings are held on the fourth Tuesday of every month at the Lincoln Unitarian Church on 6300 “A” Street at 6:30 p.m. (social time), 7 to 9 p.m. (meeting time). We work to cultivate our shared values in unity: peaceful coexistence and compassion, cooperation and direct democracy, social and ecological responsibility, economic justice and solidarity; and investment in community spaces. We’re broadening social consciousness to improve our local and global communities. We facilitate community-building events and provide for the advancement of the arts. Bring your ideas and your passion, your friends and your family. Outlinc is a nonprofit organization that engages in and fosters the well-being and advancement of the LGBTQ community through excellence in service, recreation, education, and celebration. Worship on Sunday at 8:30 a.m. and 11 a.m. Informal worship on Saturday at 6 p.m. in the Family Life Center. We seek ways to help one another grow into a fuller relationship with Jesus Christ that manifests itself in our love for one another. An ecumenical ministry. A safe, inclusive place to struggle, play and grow, anchored in the joy and hope of belonging to Christ. Sunday services at 10 a.m. and 11:15 a.m. FCC is a non-creed church that celebrates the Lord’s Supper every Sunday with a communion table that is open to all believers in Christ. Plymouth Pride Fellowship is a gathering of gay, lesbian, bisexual, transgender or questioning (LGBTQ) community members and their friends, in the midst of a loving inclusive spiritual family at First-Plymouth Church. The group, interested guests and allies meet on regular basis for fellowship, programs of interest, dinner, entertainment, outings and special events. The Fellowship is inclusive of a diversity of persons and ideas. Church membership is not required nor promoted. All are welcome. Worship on Sunday at 8:30 and 10:45 a.m., Wednesdays at 6:30 p.m. All people are welcome in the life of First UMC. Sunday worship service 10:30 to 11:30 a.m.
Silent meeting and potluck first Sunday of each month following worship. The Lincoln Friends Meeting (Quaker) affirms that the spirit of God summons us to extend love with equal generosity to all human beings, regardless of sexual orientation. No weekly services. Full Moon Rituals once a month at 6:00 p.m. on the Sunday closest to the full moon. Full Moon Rituals held at Unitarian Church, 6300 A Street, open to the public. We embrace the GLBT community. We believe Jesus was radically inclusive, he was counterculture, he pushed the envelope, and he lived in the margins and included everybody at the table. When it comes to race, gender, sexual orientation, creed and "even belief," the church is nondiscriminatory. Sunday services at 8:30 a.m. and 10:30 a.m.
Whoever you are, if you’re looking for something to believe in or a place to belong, our hearts, our minds and our doors are open. Worship: Saturday, 6 p.m.; Sunday, 9 and 10:30 a.m.; Sunday school, 9 and 10:30 a.m.; Wednesday supper, 5:30 to 7 p.m.; Classes, 6:30 p.m.
Sabbath Service on Friday, time varies, call for schedule. Congregation B’Nai Jeshurun is a reform congregation who welcomes and invites everyone. Sunday services at 8:30 and 11:00 a.m. Trinity UMC is an inclusive congregation seeking to live out God’s commandment to love by actively seeking to welcome all persons regardless of age, color, disability, ethnic origin, family status, gender, political beliefs, race, religion and/or sexual orientation. Service on Sunday at 10:00 a.m. Gay, lesbians, bisexual, and transgender people are welcome in all aspects of the church. The Lincoln church is a pluralistic religious community committed to individual spiritual journeys, and religious traditions are supported.